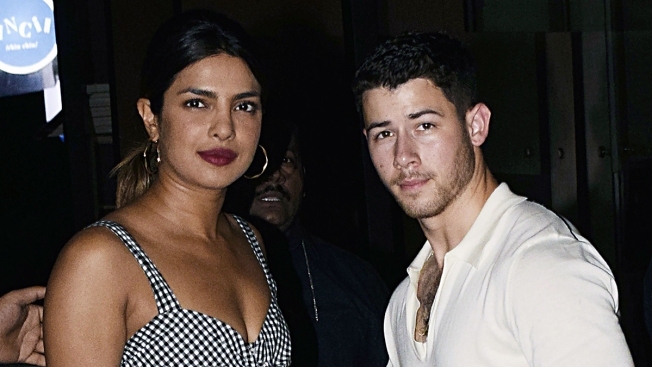 Jonas confirmed in his caption that Chopra is the "future Mrs. Jonas," and Chopra wrote that she is "taken.. With all my heart and soul.."
Three weeks after reports swirled of their engagement, Priyanka Chopra and Nick Jonas have officially confirmed their betrothal with matching Instagram photos. The pair posted the same selfie to their respective accounts early Saturday. Chopra, in a yellow-toned gown, shows off her engagement ring with her hand on her fiance's chest. Chopra, 36, and Jonas, 25, are in India with their families to celebrate the impending nuptials, and the bride-to-be later shared photos from the trip. She is seen posing with Jonas during a ceremony, as well as in a portrait with each other's families. E! News confirmed on July 27 that the two were engaged after two months of dating. This is the first time the couple has publicly acknowledged their engagement, and the first time Chopra's ring has appeared on either of their pages. Though Chopra's accessory did appear in a friend's post earlier this week. Jonas gained fame as one-third of the brother band Jonas Brothers. The group split in 2013, and he has since gone on to claim a successful solo career. Chopra is the 2000 Miss World winner and one of India's most celebrated actresses. In the U.S., she starred in the ABC drama series "Quantico" from 2015 to 2018.